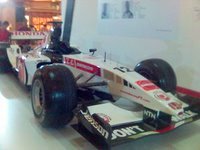 1.rizman.net: F1 car in Pulau Pinang! F1 car in Pulau Pinang! On 24th February 2006. 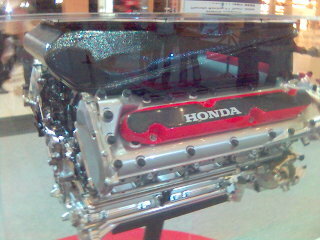 Honda Racing F1 Team's promotion tour are held for 3 days in Gurney Plaza. I was lucky to arrive there, and get to take pictures with the 'gadis litar'. I believe this promo is to celebrate Honda 100% ownership of formerly BAR Honda, and realisation of Soichiro Honda's dream having all Japanese F1 team. There's Sony Playstation PS2 F1 racing competition. WInners will get ONE (I think) ticket to Malaysian Grand Prix 2006. Enjoy the 'gambar's (photos).